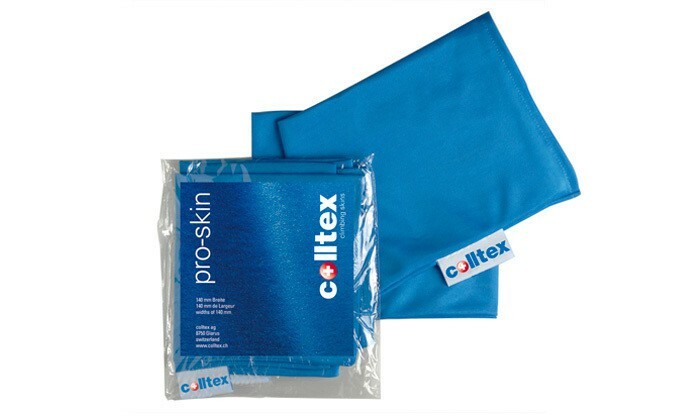 1) Slide your hand into the colltex pro-skin ski skin sock. Pull the skin sock over your arm. 3) Pull the skin sock over this third of the adhesive ski skin. 4) Remove the rest of the adhesive skin from the ski base and lay it to the skin sock with the adhesive surface in contact with the sock. 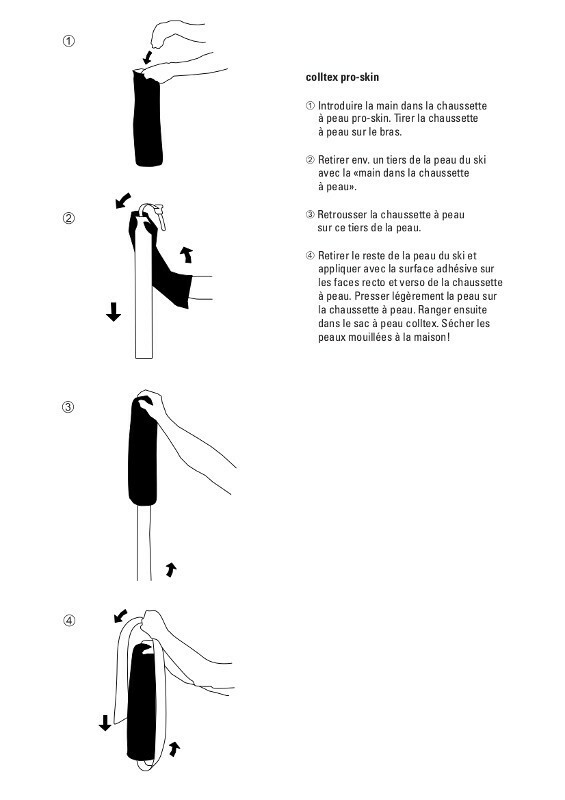 Lightly press the skin against the sock, and then store it in the colltex skin sack. You must dry wet or damp skins once you get home.